Target has been killin it in the shoe department lately and when I was at the store last night, I saw so many pretty pairs I wanted to add to my collection! The great thing about Target is that their shoes are often very similar versions to more expensive designer pairs, so if you don't want to break the bank on a trendy style, Target is the place to go! I rounded up 3 styles that are super in right now from Nordstrom and then 3 similar versions from Target that are at awesome price points. 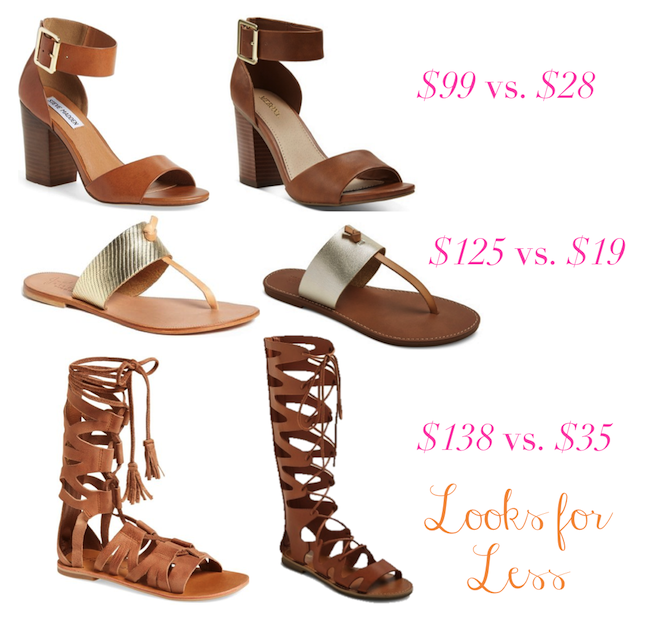 I'm thinking I definitely need those buckle heels for $28!! How perfect would they be for college?! Are you a Target shoe fan?